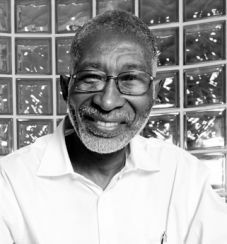 Dr. Nii Quaynor pioneered Internet development and expansion throughout Africa for nearly two decades, establishing some of Africa's first Internet connections and helping set up key organizations, including the African Network Operators Group. He also was the founding chairman of AfriNIC, the African Internet numbers registry. He earned a PhD in Computer Science in 1977, from the State University of New York at Stony Brook and helped establish the Computer Science Department at the University of Cape Coast in Ghana, where he has taught since 1979. He was the first African to be elected to the board of the Internet Corporation for Assigned Names and Numbers (ICANN) and served as an at-large director of ICANN for the African region from 2000 to 2003. Dr. Quaynor was a member of the United Nations Secretary General Advisory Group on ICT, Chair of the OAU Internet Task Force and President of the Internet Society of Ghana. In 2007, the Internet Society awarded him the Jonathan B. Postel Service Award for his pioneering work in advancing the Internet in Africa. He is a member of the IGF Multi-Stakeholder Advisory Group (MAG).